With the obesity epidemic sweeping across America, pharmaceutical companies are trying to develop natural supplements to combat it. In recent years, omega-7 fatty acids have received a lot of attention for its powerful weight loss effects. Research has proven it to be effective and health gurus are recommending the consumption of it several times daily. Naturally produced in our body, it is also otherwise known as palmitoleic acids. Don’t know much about it? Let’s take a closer look at it in this article. Like omega-3 fatty acids, omega-7 is also an anti-inflammatory molecule. However, it has the added ability to burn your fats. Involved in your metabolic pathways, it ensures the optimal use of fats in your body, and by working with enzymes, it is also able to suppress the production of new fat molecules, especially those that are detrimental to your heart. In short, it improves your metabolism and helps you lose weight. Yes, it’s that amazing. 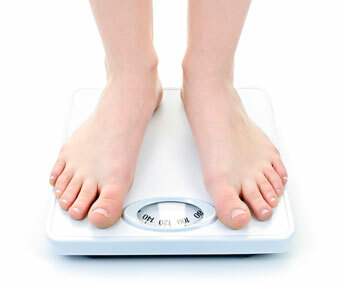 If you have an expanding waistline, this is probably due to uncontrolled inflammation caused by excessive body fat. Omega-7 has been proven with research from Cleveland Clinic to reduce levels of C-reactive protein (CRP) by a whopping 44%. CRP is closely associated with inflammation, which is a significant contributor to cancer, heart disease, arthritis, dementia – you name it. Reducing CRP levels basically means reducing all the risks of these diseases! If you’re constantly giving in to your food cravings – even though you clearly know they’re unhealthy – consuming Omega-7s may help reduce it. Studies have shown that it promotes the production of gastrointestinal hormones, which results in the sensation of feeling full. When taken as part of a fish oil supplement, it is able to suppress your appetite, giving your dieting efforts a boost. Though not much human study has been done, there are sufficient reports and evidence to back up their weight-reducing properties of omega-7 fatty acids. Man-made trans-fat from hydrogenated, processed oils aren’t the best thing to consume as they increase cellular inflammation and increase your cholesterol levels. However, it’s a different story altogether for natural ones, like omega-7 fatty acids. Not only do they help you reduce inflammation, they also control your blood sugar and lipid levels. They can be obtained from foods, like buckthorn berries and macadamia nuts. Other than weight loss, omega-7 also has many more benefits, like reducing leptin plasma, cholesterol, and triglycerides levels. In light of all these, today most people don’t just take omega-7s for just weight loss alone. If you want to improve your diet and health, consider picking up an omega-7 supplement. A lot of fish oil products contain them, and they’re relatively easy to take alongside a normal diet. If you prefer obtaining it through natural means, include sea buckthorn oil in your cooking. Other than omega-7, it also contains a slew of other omega fatty acids, like 3, 6 and 9, as well as other minerals, vitamins, phytonutrients, and antioxidants which can aid fat loss. Just make sure you find a reputable, high-quality Omega-7 supplement. If you want to slim down or wish to be healthier, omega-7s are definitely valuable additions to your diet.